This charming word puzzler is designed to become your new daily habit. Embrace it. This special stage already has stone barriers impeding your path, but there’s still room to spell out long words. 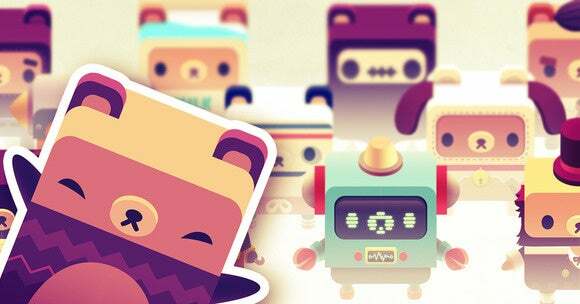 Surely you’ll agree: Adorable cartoon bears make most things better, and that remains true in Alphabear, a new free-to-play word puzzler from the makers of Triple Town. But in this case, the bears aren’t simply window dressing atop a standard genre exercise: They’re an integral part of the game experience. As you build out your words from Scrabble-like letter tiles, the bears on the board expand to fill in the cleared gaps. The bigger the bears at the end of the match, the more points you earn. But if you leave a tile on the board for too long, it’ll turn into a stone barrier, preventing bears from expanding any further in that direction and adding another dimension to the puzzle experience. And as the bears expand, they unlock more tiles that you’ll need to use up before they petrify into place. 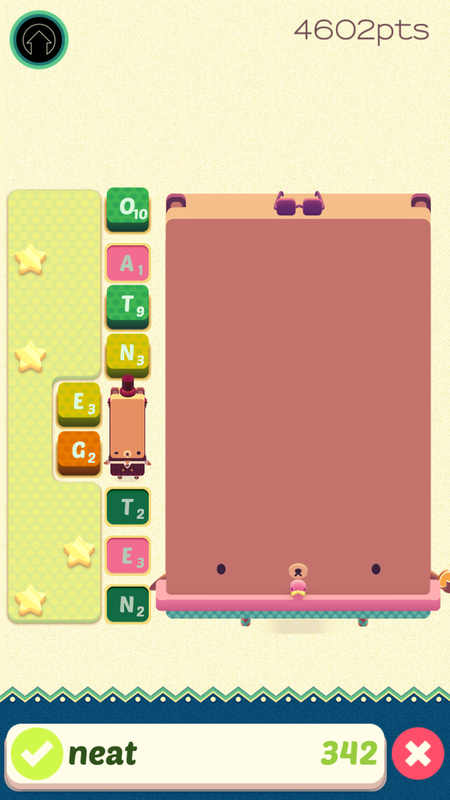 Sure, Alphabear is charming, but more crucially it’s quite clever, building layer upon layer of strategic gameplay atop its seemingly simple letter-stringing premise. Even bear selection is important: Each bear you find becomes a powered-up ally, and the ones you choose for each stage could play a significant role in how well you ultimately perform. Ready to recruit some cute bears and spell words? 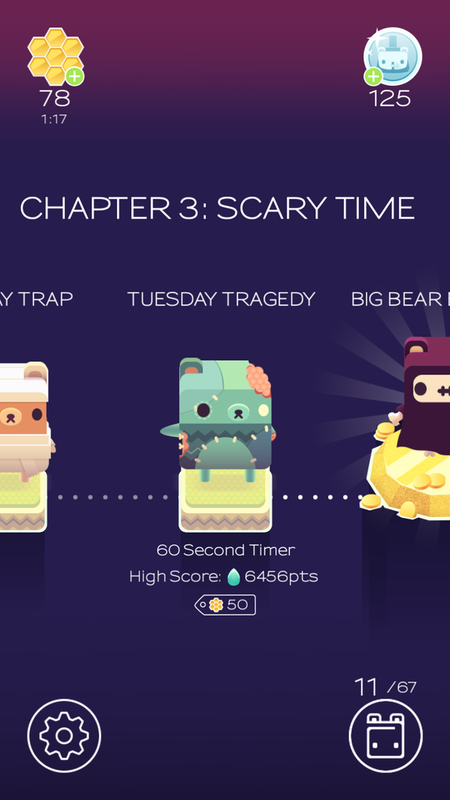 Here are three ways in which Alphabear proves itself one of the most addictive free iOS games in recent memory. Keep using letter tiles next to the bear and it will expand out further to fill the space. Creating one giant bear that fills the entire board earns you a huge score boost. 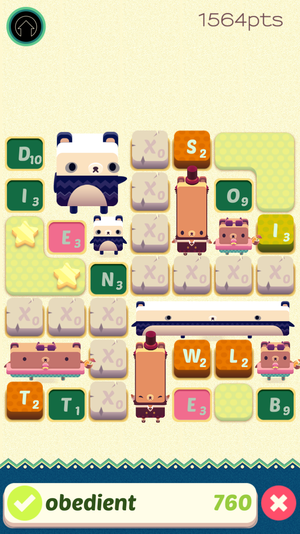 It’s strategic: When you first see the scored letter tiles, I wouldn’t blame you for thinking Alphabear is just another unremarkable word-maker. But familiar parts come together in a unique manner in Spry Fox’s game. You’ll make the best word you can from the tiles in view, and then the cartoon bears stretch out to fill the newly-emptied space. So, now what? You’ll keep building words until you’ve run out of new ones to make, but blindly cashing in the largest term you can each turn isn’t the best strategy. There’s much more to consider. First, you need to use the letters that are about to expire, as each only lasts a few rounds (thankfully, color-coding helps). And if you’re going to waste a tile and watch it turn to stone, try to leave one that won’t impede your further progress too much. Some game boards have special rules or timers, and then bear selection can affect your final score and even the flow of the game. It’s not as tense of a puzzler as something like Threes can be, but there’s definitely more than meets the eye here. Each day brings new stages to play, plus you’ll level up over time, which unearths new bears and special missions. Care about bears: Look, the bears actually matter. Each one comes with certain perks: The Easy Bear, for example, offers a final score boost plus extra points for the “E, A, S, Y” tiles. Mummy Bear, on the other hand, rewards more points for the “M, U, S, T, Y” tiles. They’re adorable, and the perks can be amusing, but certain bears are especially useful on particular stages or game modes. For example, in a timed game mode, you’ll want a bear that provides extra seconds on the clock—like Stretch Bear. Other stages might promise to have more of a certain letter, so you’ll want a bear that offers up extra points for those. Each bear has a nap period after use, however—anywhere from a minute to a full day, so keep that in mind as you’re picking bears to be on your board. Free to pace: Like many free-to-play games, Alphabear has an energy system, along with earned/purchasable currency. But I find it very fair, and more interestingly, I like the way it sets a pace for players. 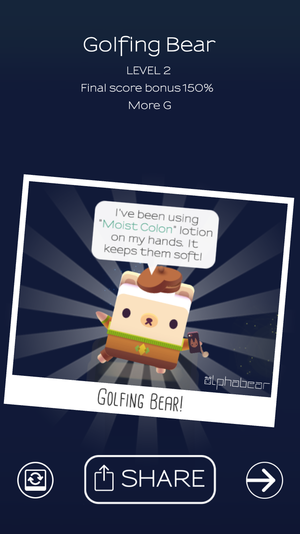 No, it’s not designed to be played in huge chunks, but it’s not like Alphabear offers up a treasure trove of content and then holds you back from it via freemium shenanigans. Instead, the game gives you a couple of daily challenges to play and occasionally opens up a boss or special event. As such, I don’t feel like I’m making slow progress—I’m playing the amount allocated that day, and it’s a solidly satisfying amount. An empty energy meter regenerates in a few hours, otherwise you can watch a couple of video ads to speed it up—or spend money, although that’s a pretty extreme move in a game like this. With that design approach, Alphabear makes itself daily appointment gaming, and if you love word puzzlers, I imagine you’ll be more than happy to oblige.